You know how sometimes we come home from a retreat more tired than when we arrived? BEloved Women’s Retreat is designed to be a place of true refreshing. We want you to Retreat Your Way! Everyone is refreshed differently so we are providing both freedom and the variety to assist you in getting what you really need April 21-23 at Charis Camp. If you need some time alone retreat to the beautiful prayer room with light music, cozy spaces and a quiet place to reflect or go for a walk in on our 20 acres of Cedar and Fir forests coupled with two rushing creeks and mountain views. If you need adventure go on one of many hikes and climb our 4 storey outdoor climbing wall. Do you need connection? Get to know someone deeper over hot drinks, by fireplaces, while playing games or participating in our craft. 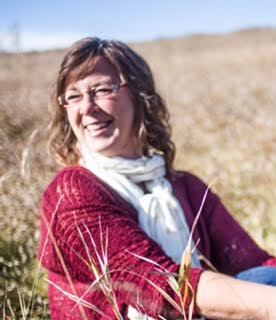 Alison Lefebre will be sharing with us from her journey of discovering how God views the seconds, minutes and hours of our days. We trust each of you, God’s beloved daughters, will find rest, encouragement and connection at BEloved Women’s Retreat! Alison loves the mountains, sports, reading, and crazy adventures with her family. These past few years have found her on an adventure of a different kind: Alison has been wrestling with God's view of time and rest in her everyday life as a beloved follower of Jesus, and she is eager to share her life-changing journey with us. Alison has been married for 30 years and in ministry just as long. She is a credentialed minister with the Evangelical Missionary Church of Canada. 1-5:30pm - Retreat Your Way! Whatever you choose, please Refresh!